Haircut Salon Tenafly will always apply the work that suits your facial structure as well as your personality. Luckily hair trends come in different lengths, shapes, textures and colors. Your hair is personal as much as it is public. 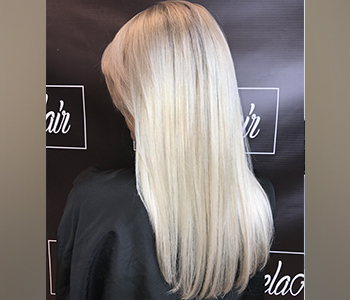 Leave it to the stylists at Nela Hair Salon in Tenafly, NJ to give you the perfect cut. The bardot bang has been around for a very long time and seems to be staying, only in different lengths. Have a consultation with your stylist so they can assess your face shape and determine the perfect fringe for you. Bangs can be a great focal point when cut properly. The bob will continue to be a favorite this year, though with a modern twist. A great bob never goes out of style but we’ll see a different line in the bob – instead of a classic cut, we’ll see shorter back and longer sides, soft layered texture for enhancing the movement in the hair. Although this haircut has been around for awhile now, the Lob for 2017 will be seen in the quality of your cut. Layers adding texture and volume will give this look movement and depth. Not too short and not too long, that perfect in between. This haircut, if done with great precision will be all the rage. A short haircut is owned confidently. The shape of your face is a big factor in having short hair. Shorter haircuts often take time to perfect but once achieved are very easy to style and not to mention fun!